When I was a youngster, one of my least favorite subjects in school was science. There were always so many foreign terms to memorize and the lessons were all so. . . scientific. Everything we learned in the classroom stayed in the classroom. There was no relating the science to anything else in my daily life, and to me, this made science useless. It wasn’t until I became a homeschooling mother years later that my attitude toward science began to change. I began to see science all around me and appreciate how well it really did integrate itself into my daily life. I also began to wish I had paid more attention to those boring science classes! Most of my own children are crazy about science, but this didn’t just happen. I have had to cultivate a love for science in them. helped them see the usefulness in their own lives. Learn about the things you and your children enjoy. When my children were younger, we focused our science lessons on nature. At the time, we were living in the beautiful German countryside. The air was crisp and cool, and there was always something or somewhere to explore. We would take a few field guides and sit in the yard or walk through the forest. When we would find a new specimen” we would dig through the guides to find out more about the plant or animal. We carried along colored pencils and notebooks to sketch images of the items we found. 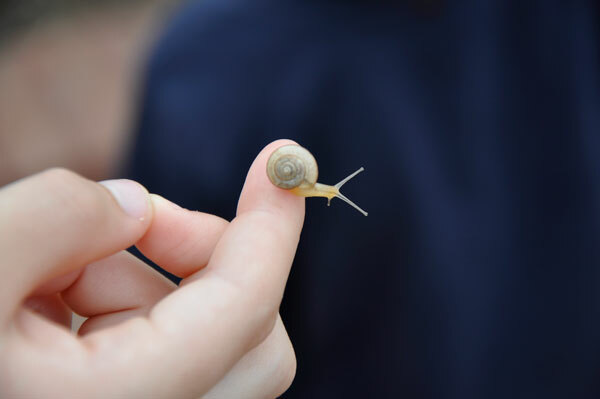 Once we found a huge snail eating away at our garden. The kids were fascinated by the fact that the snail would just glide over the leaf and it would disappear. We talked about how these creatures were not all that great for our garden, but that they provided food for other animals. Late one evening, we were able to see one of these creatures being provided for. A cute little hedgehog waddled around our backyard looking for his dinner of snails. In the beginning, our lessons weren’t bogged down in difficult vocabulary or long orations, but rather a simple love of learning about the things around us. As much as I could, I would try to show my children why these things mattered in our lives. I wanted them to be able to connect the learning with living. Learn by developing a relationship with the subject. I have a little boy who is fascinated by weather, especially tornadoes. I don’t remember how this fascination began, but over the years he has continued to learn about tornadoes. At first, we would check out library books and read about tornadoes. Then I took him to an IMAX theater to watch Tornado Alley. Then the ultimate learning experience presented itself. We were living in Wichita, KS when an actual tornado touched down just blocks from our house. My son would sit and watch the weather channel, captivated by the tornado footage. And he seemed a little disappointed to find out that “our” tornado was only an EF-2. He can tell you all about tornadoes and how strong they are and where they occur. He didn’t learn all these facts because we drilled him and tested him, he learned them because he developed a relationship with tornadoes. At first, it was simply reading a little about them. But the more he became familiar with them and had other experiences involving the subject, his knowledge of them grew. This year I am going to branch out from his love of tornadoes and weather, taking him a little further and a little deeper. I will be using Christian Kids Explore Earth and Space not only to increase his knowledge of tornadoes and weather, but to branch out to other related areas of science. 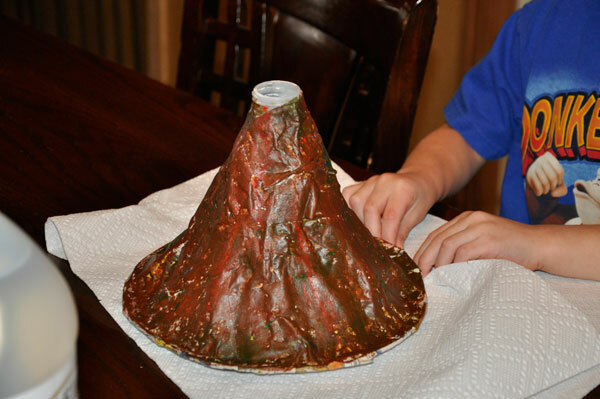 Volcanoes and earthquakes and caves, oh my! Learn in the context of life. When my oldest daughter was in high school, it was like pulling teeth to get her to finish biology and chemistry. She was always a very good student, but did not enjoy these two classes. Fast forward a few years and these two subjects are two of her most favorite! The difference? She is now studying to become a midwife and is able to apply the things she is learning in science to her world. What a difference a little perspective can make! When we are able to show our children why the things they are learning matter, it makes a world of difference in their feelings toward science. Take the science lesson and find an experiment to illustrate its usefulness. 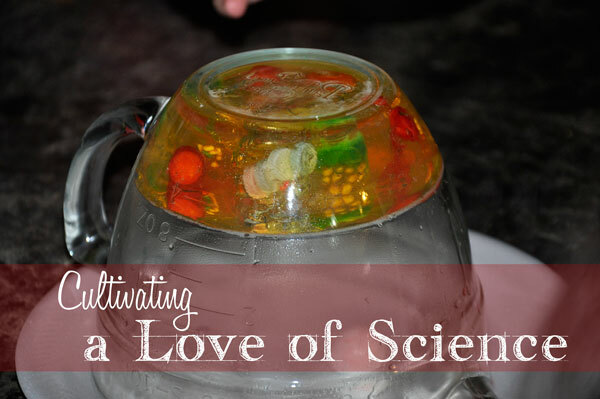 Most children love experiments, and they seem to solidify learning as well. Take the experiments of life and find a science lesson to illustrate its usefulness. Sometimes a little more difficult to pull off, but I find this method to be more genuine. I have been able to teach my children chemistry as they help me make soap. Or we discuss botany as we work in the herb garden. Or we discuss anatomy when someone gets hurt. These are all ways that help children (and adults) understand science and connect with it in ways that will cultivate a lifetime love of science.